How does jumping help to count? 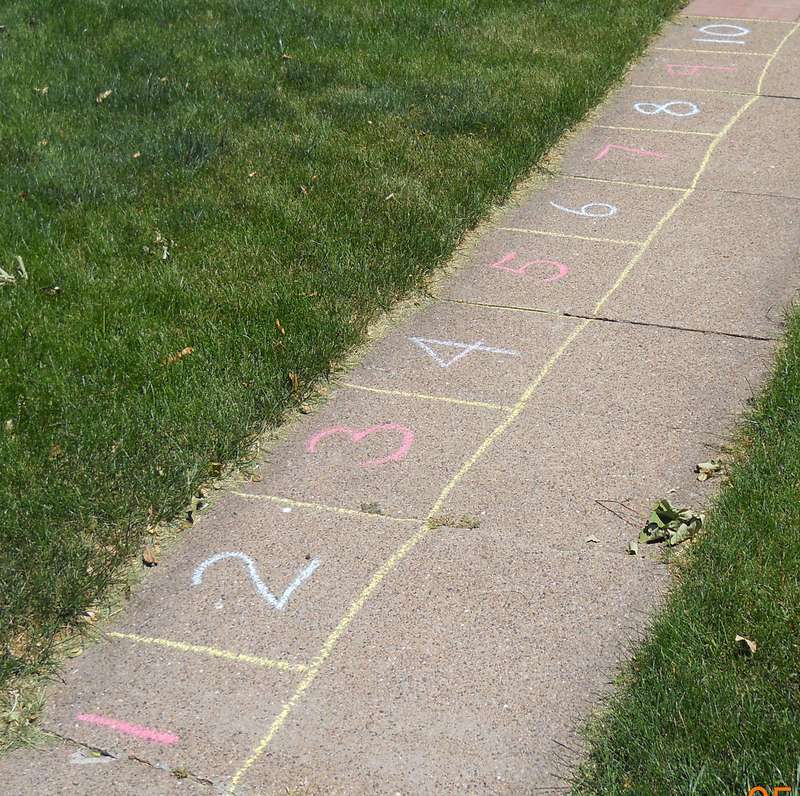 After introducing the concept of addition on a numberline, take children outside to draw with chalk or create with sticks their own numberline. Set them addition problems and encourage them to jump along their numberline to find the answer. This activity really helps children to remember to jump before they start counting! Start the number line from a 'teens' number Draw an empty number line and only mark: odd numbers, square numbers, prime numbers Instead of a number line, create sequences of numbers with children jumping to work out the pattern (or value) of the jumps. Today maple maths did our own version of jumping on a numberline! Instead of using a normal number line, we jumped on numbers that were in the times table we were learning. We also carried on from our tally charts on Tuesday and made bar charts using leaves.